Ris Grandeur is a freehold condominium located at Elias Road near to Pasir Ris housing estate and Loyang which is the far eastern side of Singapore. 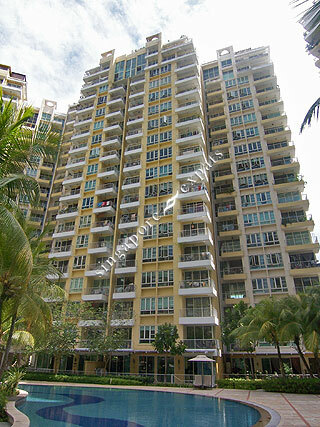 There are 453 units in Ris Grandeur which consists of 1 to 4-bedroom apartments and penthouses. From Ris Grandeur, it takes about 10 minutes bus ride to the nearest Pasir Ris MRT station. Nearby amenities include Elias Mall, White Sands, Tampines Mall, Pasir Ris West Plaza, Century Square, Downtown-East Resort, The Japanese School Tanah Merah & Laguna Golf and Country Club. Ris Grandeur is accessible via the nearby expressways - Pan Island Expressway (PIE), Tampines Expressway (TPE) and East Coast Parkway (ECP). It takes only 5 minutes or less to commute to the Changi Airport. A gem in the east. Breezy, accessible and yet serene. Great location, Windy, all units overlooking the swimming pool, great ambience, quiet and wonderful for family. The floor area is much bigger than most newly built condominiums. Each room is able to fit in the essential furniture and fixture and still has some decent space to move about. Due to the layout, all units have very good ventilation and is breezy. In term of long term investment, it is definitely a good buy as this is the only freehold condo in Pasir Ris.